Founded by Vikrant Kishor HOLKAR, Red Grapes has been established with a vision in working for the development of Indian wine industry. It is a boutique business model which is specialized in Indian wine tourism, vineyard and winery consultancy, wine education, and Indian wine promotion activities. We take pride in saying that Red Grapes is the 1st Indian wine tourism initiative which is based in and operates not from the metro cities but from the heart of the Indian wine industry Nashik valley, which is also known as Wine capital of India. Located at Vinchur wine park which is India’s 1st wine park under MIDC (Maharashtra Industrial development corporation), Red Grapes is surrounded by Nashik valley’s vineyards and wineries. Railway - 7 kms Lasalgaon Station, 11 kms Niphad, 49 kms- Shirdi, 54 kms Nashik. Airport - Ozar (Nashik) 47 kms, Shirdi 49 kms, Mumbai - 189 kms. Thank you for the delightful experience we had at “Red Grapes”. Through the visit to your winery, we got acquainted with the art of wine making and the intricacies of the process. Our students got a wonderful opportunity to actually see the fermenters and other equipment that they had only read about in their books. Surely the interest in the subject that was kindled in them will bear rich fruit in the future. However, our visit was not just a learning experience, but a pleasant memory that will linger in our minds for years to come. From the lush, green vineyards to the colorful, cozy tents, it was an intoxicating experience for each one of us. Needless to say, the wine tasting session was the most exciting part of the trip! — Mr. Suman Ganger, Professor, VES College Mumbai. — Mrs. Apoorva Soman, Editor Lokmat Times News Paper. Nashik. — Mrs. Tanvi Balgi, Founder and CEO Global Footprint Travel company, Pune. — Mr. Marvin Moog, Wine Maker, France. — Tony and Betty Notto, Wine weekly show, USA. Being a teacher, it was extremely challenging for me to take my students for an industrial visit where they can simultaneously learn about industry and enjoy it. We were lucky enough to come across “Red Grapes” at Nashik. Red Grapes is dedicated to arranging wine tours in Nashik valley. Once I had a conversation with Mr. Vikrant Holkar, he offered us various customised tour packages. 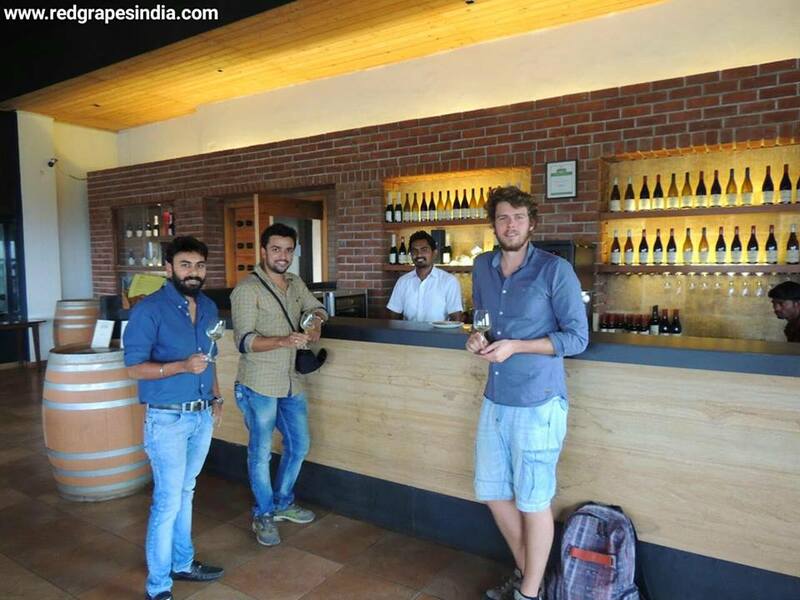 During our two days of tour, we visited Sula vineyards, York winery and Vinchur wine park. Each visit comprised of wine education session and wine tasting session. As recommended by Red Grapes, we were visiting during harvest season therefore we could have closer look at grape varieties, how they are processed, fermentation and bottling units, different types of wine along with minute technical details. 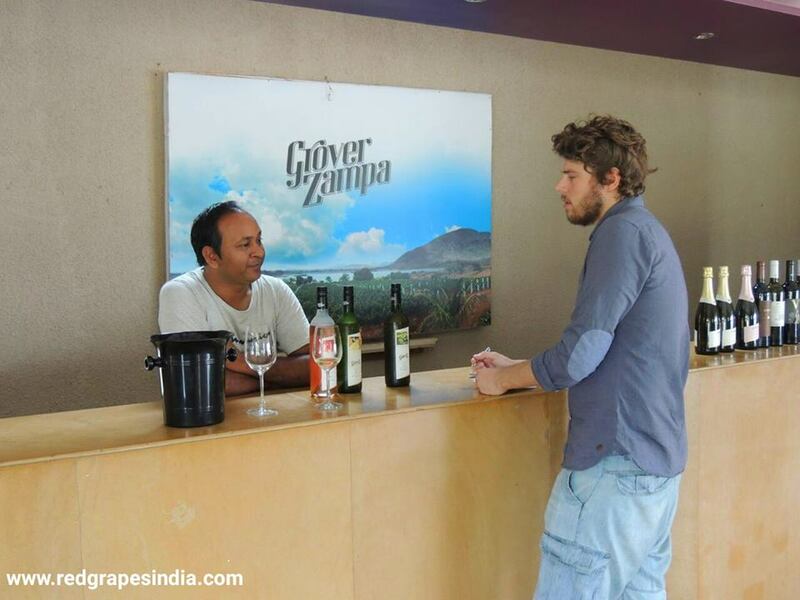 Meanwhile, Mr. Holkar kept us informing about many interesting facts about wine making. Our tour was meticulously planned so we could spend time without any haste. As we had to finish our tour in two days, we couldn’t take the tour package with vineyard stay. Red Grapes offers excellent packages including travel, food, stay, wine tour and sight -seeing. Our experience with Red Grapes was extremely pleasant as we were given the dedicated service and full time attention with priority to safety. Our tour concluded with sight-seeing. Wine tour was a great experience as it was a complete package of knowledge and fun. Looking forward to take the wine tour at least once more. — Miss Anagha Pund, Professor Biotechnology, Wadia College Pune.